Attendance at Wyalusing State Park over the past year has been high. This high attendance shows that visitors understand that there are many personal values and benefits to visiting Wyalusing State Park. In 1909 John Nolan a famous landscape architect said, “Who questions nowadays that simple recreation in the open air amid beautiful surroundings contributes to physical and moral health, to a saner and happier life?” This statement is still true today and it is easy to see why visitors keep returning to the park and why new visitors keep coming all of the time. Over this past year much was accomplished to continue to improve the experience for the Wyalusing State Park visitor. 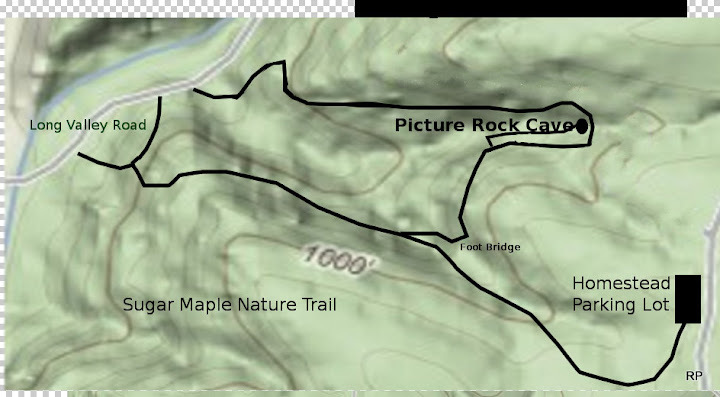 Over the past year Sugar Maple Nature Trail and Sand Cave Trail have been repaired and rerouted. The new reroutes are sustainable and were designed to work with the natural surroundings rather than trying to control them. These two new refurbished and rerouted trails have received several compliments by our visitors. The new trails have breathtaking views and spectacular features that differ during all seasons of the year. We encourage visitors to the park to check out these new trails. This year the Friends of Wyalusing State Park received a $10,000 match grant to remodel the old office in the park to an interpretive center. This remodel includes new ceiling and wall coverings and refinishing of the floor. Special attention is being made to refurbish the interior of the building in the same style and period in which it was constructed. Milled lumber from the park is being used in the project. The Friends Group hopes to receive an additional grant this next year to complete the project. The park is in the first year of a three year project to complete prescribed land management for over 1,400 acres in the park. Natural Area staff from the Department and the Driftless Land Stewardship will be conducting the work. The Driftless Land Stewardship specializes in natural area management, ecological rehabilitation, and invasive species control. Over the past year the Friends of Wyalusing State Park created an endowment to provide permanent support for the Park’s educational, interpretive, recreational and natural resource needs. This is the first endowment established by a local state park friends group through the Natural Resources Foundation. With a donation to our endowment, your generosity is the gift that keeps on giving. If 5,000 people per year send us $5 each, we can grow our endowment by $25,000. Because we only spend the interest, your gift will help support Wyalusing State Park indefinitely. Gifts may be made payable to the Natural Resources Foundation and mailed to: Natural Resources Foundation, Attn: Friends of Wyalusing State Park Endowment Fund., PO Box 2317, Madison, WI 53701. The Natural Resources Foundation is a 501(C)3 tax exempt organization. All donations are tax deductible. Over this next year we hope to have new vault toilet structures installed at Point Lookout, Wisconsin Ridge Campground, Outdoor Group Campground, and Homestead Picnic Area. Construction of a new shower building in the Homestead Campground will likely start this year and new trail construction will continue on Sand Cave Trail. Wyalusing State Park is Travel Green Wisconsin certified. For 2010 the park has volunteered to be a test site for a new electric utility vehicle. This vehicle will be used at a few other selected state parks in Wisconsin. We hope this vehicle will be a strong step forward in continuing our efforts to be more energy efficient as a state park. Over this next year staff at Wyalusing State Park will be working hard to make Wyalusing State Park even better than it was the year before. 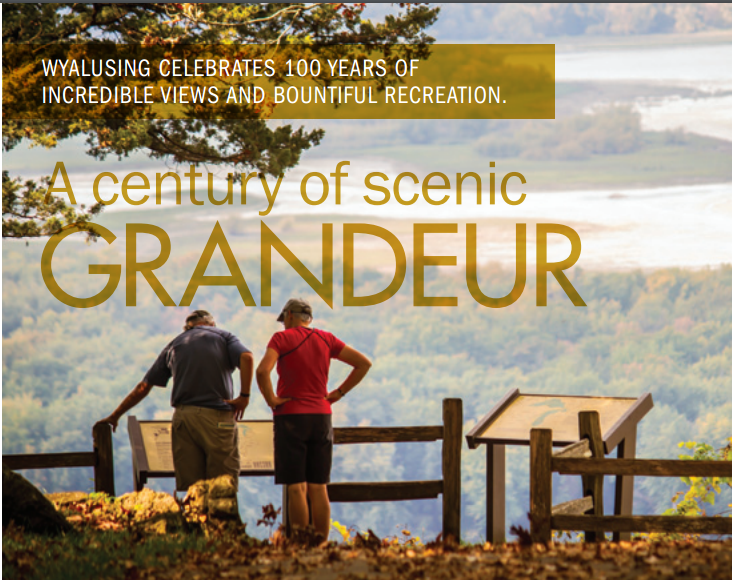 We look forward to seeing you out at Wyalusing State Park!